Siri Shortcuts is quickly turning out to be THE feature in iOS 12. Apple finally let third party app developers use custom Siri voice commands to perform app actions and it was probably one of the most exciting announcements from WWDC earlier this year. Now that iOS 12 is here, app developers are slowly but surely adding Siri integration to their services. Take Swiggy for example. The food delivery app has now added Siri support to its iOS app and it’s pretty damn awesome. 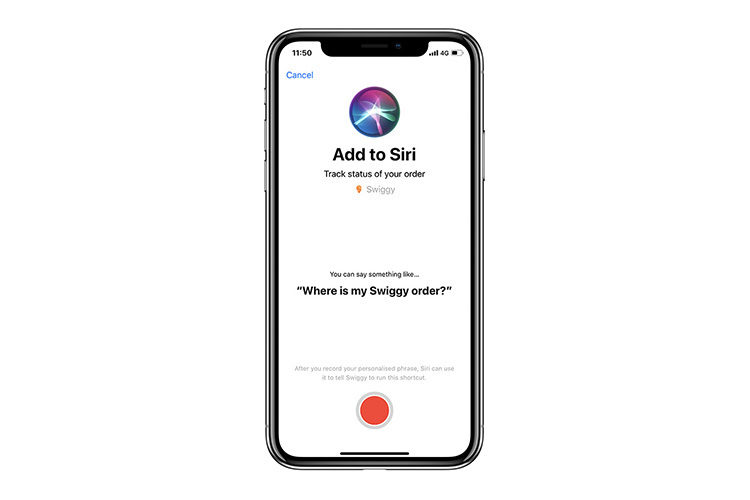 When you order food on Swiggy next using your iPhone, you’ll get a prompt informing you that you can now use Siri to check on the status of your order. You can set up a custom phrase (mine is “Where’s my Swiggy order?”) and that’s all. You can then simply say the phrase to Siri, and it’ll tell you the status of your order as reported by Swiggy. It might not look like much, but it’s definitely a pretty handy feature to have, since you no longer have to launch the Swiggy app, find your order, and track it anymore. You can simply ask Siri from any screen on your iPhone and it’ll gladly tell you the status of your food. 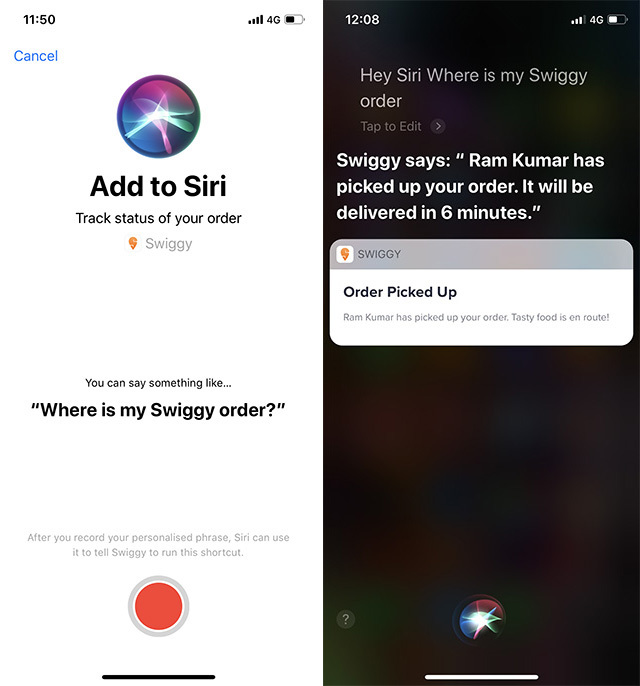 So, if you’re a Swiggy user, go ahead and enable the new Siri Shortcut right now and start asking Siri for your order updates instead of launching the app. I just hope Swiggy adds shortcuts to order food quickly too, so I can just be lazier than ever. God, I’ll just never get off the couch, not even to pick up my phone anymore.